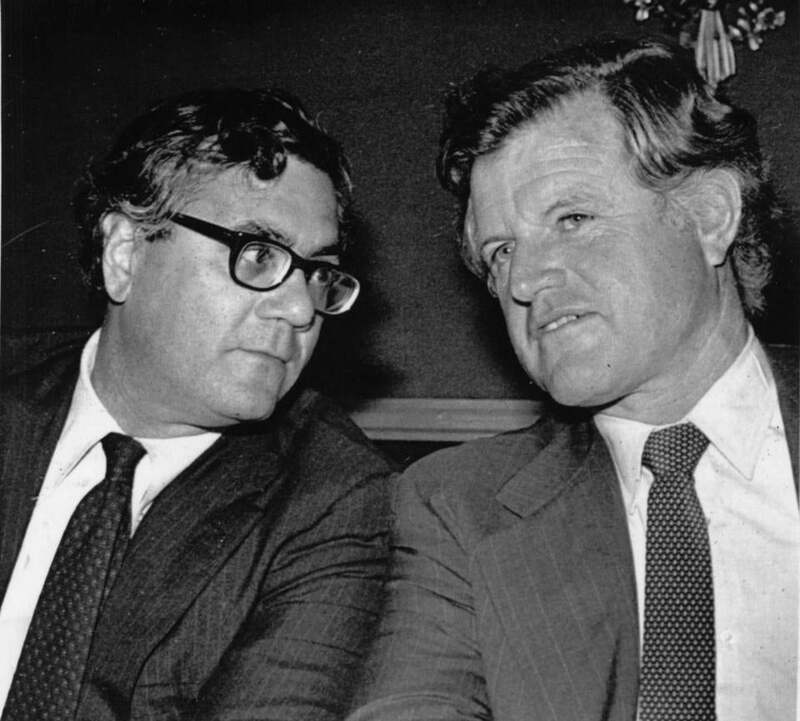 Representative Barney Frank and Senator Ted Kennedy in 1980. Combative, unashamedly liberal, acidly funny, Barney Frank has for decades injected Dickensian quirkiness into Massachusetts, and national, political life. No surprise then that his memoir, “Frank,” mostly merits its punning title. In lucid, unembellished prose, the retired Fourth District congressman, now 74, candidly discusses his crusades, his achievements, his mistakes, and his colleagues. He turns reticent only in detailing the unhappier aspects of his personal history, including an embarrassing entanglement with a male prostitute. The son of a New Jersey truck-stop owner and a legal secretary, Frank graduated from Harvard College and Harvard Law School and eventually became an advocate for LGBT rights, affordable housing, and financial reform, among other causes. His colorful career began with volunteer organizing for Adlai Stevenson’s doomed 1956 presidential campaign. It encompassed troubleshooting for Boston Mayor Kevin White, feuding with former Massachusetts governor Michael S. Dukakis, defending President Clinton during impeachment hearings, and coauthoring a landmark law regulating Wall Street. Frank has been a ground-breaking figure — and not just for his progressive politics. 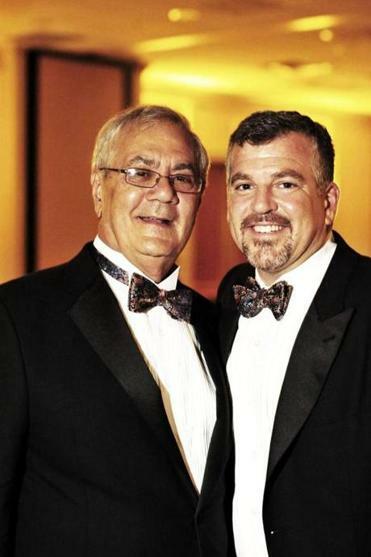 Barney Frank (left) and his partner James Ready posed during their wedding reception. Frank’s own intertwined political and personal odysseys add up to a remarkable story. But they also constitute a narrative challenge: Frank must balance his struggle to find self-acceptance with the tale he seems keener to tell, about his political legerdemain and advocacy for the disadvantaged. Frank paints himself not as an unrepentant ideologue but as a pragmatist. Faulting his impatience and short attention span, he cites his strengths as the ability to work with “a broad cross section of people,” assimilate information rapidly, and speak off the cuff. When he started serving in Congress, in 1981, after a stint as a state representative, Frank adopted what he calls a “hybrid” approach to his sexuality: open to the LGBT community and intimates but closeted to everyone else. He continued to advocate for LGBT issues, sometimes tangling with the movement’s leaders on timing and tactics. In the memoir, he defends Clinton’s failed effort to lift the ban on gays in the military, explaining the political maneuvering that yielded the flawed “Don’t Ask, Don’t Tell” policy. As chairman of the House Financial Services Committee, from 2007 to 2011, Frank helped fashion legislation curtailing credit-card abuses, secured passage of the controversial Troubled Asset Relief Program (TARP), and coauthored what he calls “the most important financial reforms since the Great Depression,” the Dodd–Frank Wall Street Reform and Consumer Protection Act. His discussion of these accomplishments is predictably dense. By contrast, Frank talks only briefly about the psychological impact of his long commitment to secrecy and repression. In 1987, impelled by events and his own discomfort, he carefully negotiated his public coming out with editors at the Globe. Gerry Studds, Frank’s friend and Massachusetts colleague, already had become the first openly gay member of Congress — after news broke in 1983 of his involvement with a male House page. Gobie claimed that Frank had countenanced the prostitute’s use of his Capitol Hill apartment for sexual assignations with other men. The committee, however, concluded that Frank was guilty only of relatively minor infractions, including fixing Gobie’s parking tickets, and recommended a reprimand. Julia M. Klein is a cultural reporter and critic in Philadelphia and a contributing editor at Columbia Journalism Review. Follow her on Twitter @JuliaMKlein.